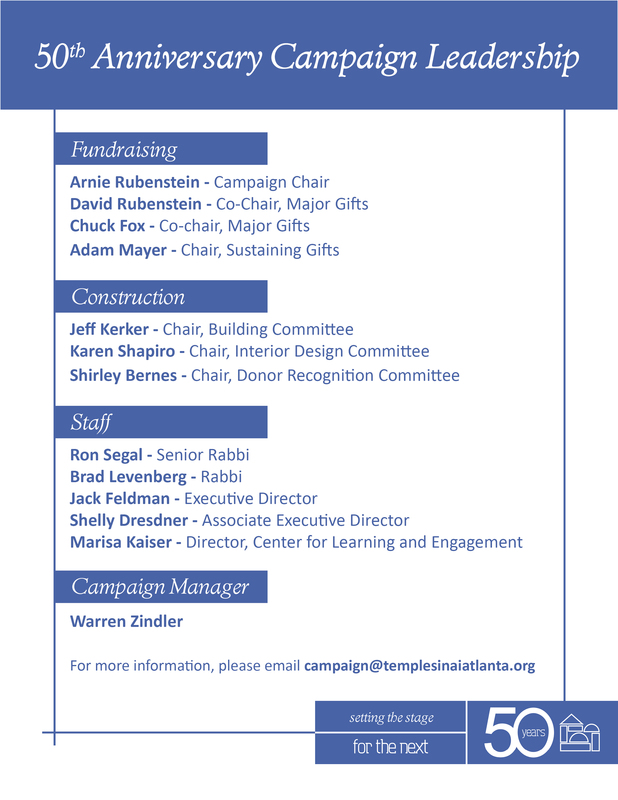 Now is an exciting time to be a part of Temple Sinai! To commemorate our congregation’s milestone golden year, we have embarked on our 50th Anniversary Capital and Endowment Campaign. This $12,000,000 campaign will improve the accessibility of our building for all of our congregants, expand the educational experience for youth and teens, and assure our future financial stability. The campaign improvements will positively impact everyone in our community, from our youngest members to our most seasoned…and everyone in between! Click here to make your gift today! If you have any questions about the campaign, email us here. Click here to make your pledge to the Campaign!